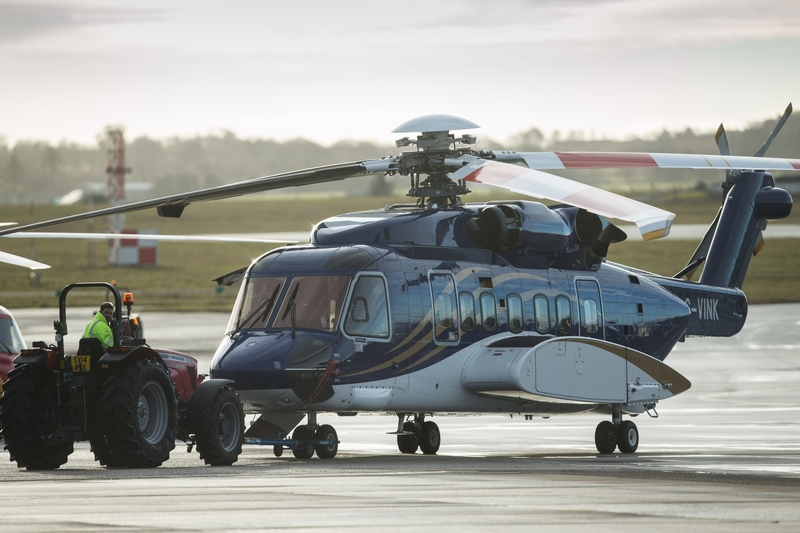 Helicopters were still returning to normal North Sea operations last night after a deadline of midday passed following a global recall of all S-92s. The Offshore Helicopter Safety Leadership Group (OHSLG) had said the helicopters would all resume flights by lunchtime yesterday. Sikorsky recalled all of its S-92 – of which there are 31 used in North Sea operations – after an incident on December 28th on the West Franklin platform. But new figures revealed a number of aircraft were still waiting to be assessed. Bristow said the “majority” of its vehicles had been assessed, however some were awaiting the final air test today. CHC said all but one its helicopters had been cleared for service. More than 100 workers were expected to return home on Wednesday after flights were delayed due to the recall. Bad weather also hampered attempts to carry out final checks. High winds, a high sea state and triggered lightning were all interfering with operations yesterday. A spokeswoman for Bristow said the “majority” of its flight inspections had been completed, with no anomalies identified. She said: “Bristow can confirm that it has completed the inspections on the majority of its UK fleet of Sikorsky S-92 aircraft and no anomalies have been identified. Several aircraft completed their inspections and subsequent air test yesterday and were returned to service and the remainder, which were inspected overnight, are awaiting their air test today. An initial report into the incident which led to the recall was also published yesterday by the Air Accidents Investigation Branch (AAIB) Showed the extent of damage caused to the tail rotor which may have led to the incident. A number of industry leaders have previously warned of a “reliance risk” on S-92 helicopters in the North Sea after Super Pumas were grounded last year following a fatal accident off the coast of Norway. A spokeswoman for the OHSLG previously said there would be a “phased return” of the helicopters.